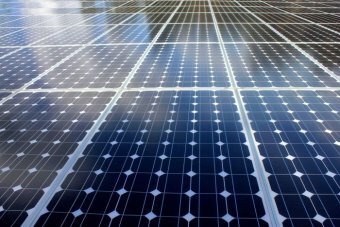 A Western Australian copper and gold miner plans to soon house one of the largest off-grid solar-pv power systems of its kind in the world. 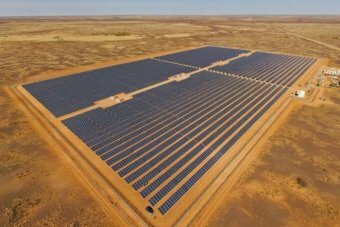 Sandfire Resources, which owns the DeGrussa mine near Wiluna in the far north Goldfields of WA, will integrate the 10.6 megawatt solar array with its existing 20 megawatt diesel power station. The solar array, inverters and batteries will cover an area of around 18 to 20 hectares, equivalent to the size of 11 Melbourne cricket grounds. If it proceeds, the project will cost around $40 million, of which Sandfire Resources would contribute $1 million. It will be built and operated by the Brisbane subsidiary of major German engineering company Juwi Renewable Energy Pty Ltd. Managing director of Juwi Andrew Drager said the system would require 34,000 solar panels, very similar to rooftop solar panels but slightly larger. 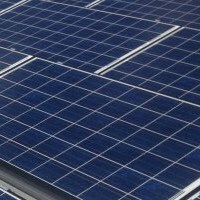 "The panels are around a metre or so off the ground and they will track the sun throughout the day, adjusting themselves every five minutes," he said. "It also consists of a number of large inverter stations, which are within 20-foot shipping containers, and some large batteries." The renewable energy component will replace 20 per cent of existing diesel-fired power, which will remain as the source of baseload power. Sandfire Resources expects to reduce overall operating costs and remove 12,000 tonnes a year of carbon emissions from the atmosphere. Director Karl Simich said the company first started discussing the project with Juwi in 2013. "We continue to look at other options to reduce energy costs and emissions, including alternatives like natural gas," he said. And Mr Simich believes that alternative energy is a consideration that all mining companies will have to make sooner rather than later. "Look we think so," he said. 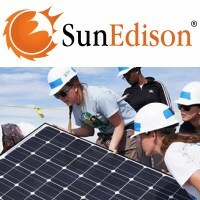 "Hopefully we are raising the bar and that it's not only an economic benefit to our business, but it also reduces the imprint or the impact on the environment." Sandfire Resources was one of seven mining companies that was declared as 'doing social harm' by the Australian National University when it announced it was divesting fossil fuel companies. Sandfire is not a fossil fuel company and is taking ethical investment research company CAER to court over the quality of the company report it supplied to the ANU.